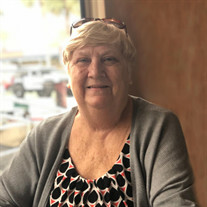 Victoria Crismond, 64 of Casselberry, Florida passed away April 13, 2019. Ms. Crismond was born February 19, 1955 in Syracuse, New York to Kenneth and Aletha Schoolcraft. She is survived by many loving family and friends. The family of Victoria Crismond created this Life Tributes page to make it easy to share your memories. Send flowers to the Crismond's family.